A study of over 100 nasopharyngeal cancer patients has uncovered the genetic basis of the disease and identified possible drug targets. AsianScientist (Jun 27, 2014) – A team of scientists from Singapore has identified a distinct mutational signature and nine mutated genes associated with nasopharyngeal cancer, paving the way to developing novel therapies for this deadly disease. The research has been published in the journal Nature Genetics. The study, led by Professor H. Phillip Koeffler, Senior Principal Investigator at the Cancer Science Institute of Singapore and Deputy Director of National University Cancer Institute of Singapore, is the first comprehensive genomic study of nasopharyngeal carcinoma; a disease with such an usually high prevalence in Southern China that it is sometimes known as “Cantonese cancer”. The findings provide an enhanced road map for the study of the molecular basis of this form of cancer. Nasopharyngeal carcinoma arises from the epithelial lining of the nasopharynx, the upper part of the throat behind the nose. Unlike cancers that have been extensively studied, such as breast and colon cancers, there is currently a limited understanding of the molecular biology of nasopharyngeal cancer. To date, no targeted therapy has been established and there is an urgent need for a comprehensive genomic landscape of this disease to guide the development of novel therapies. In this study, the researchers analysed the DNA and proteins of over 100 nasopharyngeal cancer patients in Singapore. 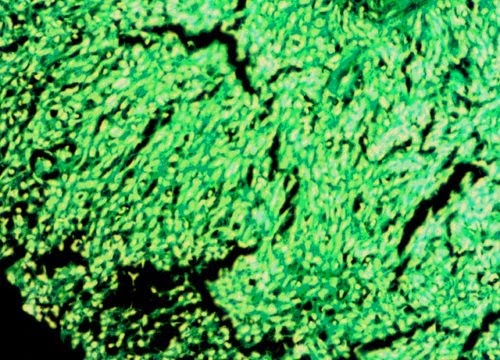 The research revealed that many genes are mutated and dysfunctional in the nasopharyngeal tumour cells, some of which cause and exacerbate the disease. Furthermore, the study uncovered a number of novel druggable candidates, proteins that are suitable drug targets due to their ability to bind with high affinity. Prof. Koeffler said, “We wanted to boost the understanding of the etiology as well biology of nasopharyngeal cancer with the hope for improvements in diagnostics, prognostics and therapy, which will promote the well-being of Singaporeans. By completely deciphering all human genes at the single nucleotide level, our current findings provide an important foundation for the study of the molecular basis underlying this malignancy. With the discovery of these previously unrecognised genetic defects in nasopharyngeal cancer, Prof. Koeffler and his team will explore the detailed molecular mechanisms of these defects in the next phase of research. Associate Professor Loh Kwok Seng from NUH and NCIS, as well as Associate Professor Goh Boon Cher and Associate Professor Lee Soo Chin, from CSI Singapore and NCIS, who are authors of the paper and doctors to many of the patients involved in the study, will evaluate whether some of the genetic defects can be explored in the clinic to effectively treat this disease. The article can be found at: Lin et al. (2014) The Genomic Landscape of Nasopharyngeal Carcinoma. Source: National University of Singapore; Photo: Libertas Academica/Flickr/CC.